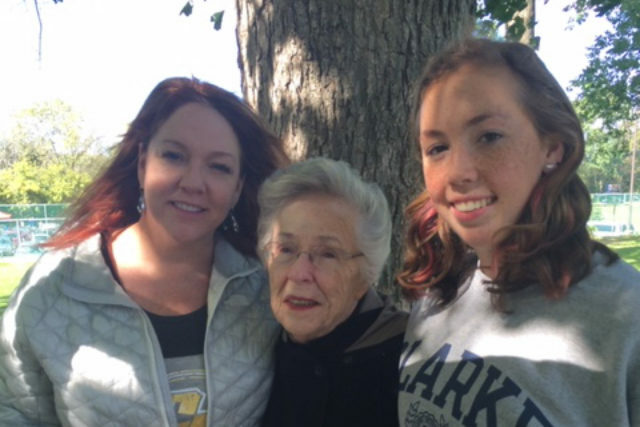 Clarke student Monaghan (Hannah) Dolan-Cook is pictured above with her grandmother Margaret (Monaghan) Dolan ’59 and her mother Cathy Dolan-Cook. Clarke students need your support. Clarke relies on philanthropic support from our parents and friends to provide the additional financial resources that our students need to succeed. Your generosity provides scholarships, creates new learning spaces and enrichment experiences, and introduces new technological and educational resources in our classrooms. Please make your gift, your way today and designate it to the academic program, scholarship or athletic team that means the most to you and your family.